The Academy has been established based on continuous learning and development principles. Our main objective is to sustain the organization’s learning culture via contemporary methods and technologies, and to ensure the company achieves its goals. At Arkas Academy, we conduct a detailed analysis of training needs, design the training process, set up training seminars and workshops by utilizing internal and external resources, and finally measure and evaluate the results. We meet our employees’ specific training needs in order to maximize their performance level. To this end, we organize learning and development trainings in a variety of proficiencies such as technical, vocational, and foreign language skills. Specialization and experience are two important values for us. 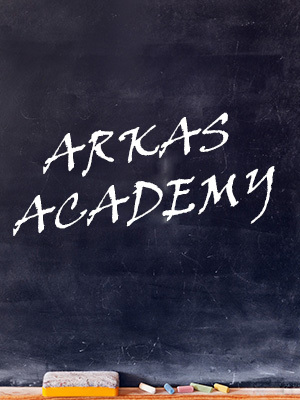 Arkas Academy meets individual education and development needs and ensures the acquired knowledge is being shared. As a result, an active corporate memory is formed where information and experiences are stored and transferred. Our main and most important information sources are our managers. The number of our managers and employees who support us as internal trainers and subject specialists are continuously increasing. Specialties that cannot be provided through internal resources are generally outsourced. We develop and improve ourselves through collaboration with other corporate academies, foundations, associations, and organizations. We arrange public events which are also open to other organizations. You can obtain more information and share your questions or opinions on our website by clicking on the following link.